Posted on: August 24, 2018 By: Christopher Brown, Esq. All over the country 2018 minimum wages laws are being evaluated, and in some cases changed, and Virginia is no different. 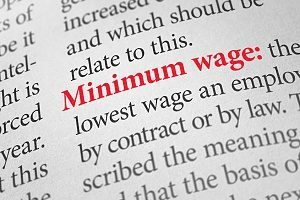 While minimum wage itself has not been changed, other aspects of Virginia wage laws have been updated. If you are a worker who lives in Virginia, you receive protection from both state and federal laws in regards to your wages and employment. The minimum wage in Virginia is $7.25 an hour, which is the same as the federal minimum. However, there are some jobs that don’t follow the minimum wage which includes domestic home workers, farm workers, salesmen who earn a commission on their sales, taxi drivers, and other miscellaneous jobs. Other jobs that are exempt from minimum wage laws include Internships or other similar educational or training programs, workers who are under 16, workers who are 18 and work for their parent’s or legal guardian, and small businesses with four for fewer workers. For specific information on whether or not your job is protected under wage laws or not, reach out to a Virginia employment attorney. The minimum wage has been an extremely controversial topic as of late, with many states raising their minimum wage in 2018. While Virginia has not elected to do so as of yet, there are likely to be more changes made in the coming months to Virginia wage laws. Staying informed about these changes will help to ensure that your employer is following all changes that are made. There are several laws that make up the Virginia minimum wage laws. Firstly, the Minimum wage law states an employer cannot hire employees or workers for less than a given hourly minimum wage. Federal and Virginia wage laws set this minimum to be $7.25. However, some cities have raised their minimum wage. For example, the City of Alexandria’s minimum wage is currently $13.13. The purpose of a living wage is to ensure that all full-time workers have enough money to live about the federal poverty level. This level is different from state to state depending on property value, but the number is based on the number of people in your household. Basic buffers needed to improve one’s quality of life are protected against emergencies are not included in the living wage. It also does not include medical, auto, or renters/homeowners insurance. Unlike minimum wage, the living wage is not a set number that covers almost all workers, but instead is the amount of income needed to provide a decent standard of living. The two are often confused. The intent of minimum wage is to provide a living wage. Minimum wage is set by law, whereas the living wage is determined by costs. Sometimes minimum wage does not support a living wage because the minimum wage has failed to keep up with the changing cost of living. As a result, many minimum wage employees are living below the federal poverty line – even though living wage says they shouldn’t be. Many states are now addressing the issue and raising the minimum wage, but as of current, Virginia has not followed in their lead. Not only are you entitled to a certain pay, but you are also entitled to be able to rely on a steady and consistent paycheck. This right is protected under the Wage Payment and Collection Laws. In Virginia, hourly workers must be paid a minimum of twice a month or every two weeks. Salary workers are entitled to be paid at least once a month. It is also important to note that if you leave a job or are terminated, you are entitled to the pay you earned, including your last day of work. This money should be received as normal payments were expected before the departure. Wages must be distributed in the form of cash, a check, a prepaid debit card, or a direct deposit into the worker’s specific account. If you believe your employer has denied your rights that are protected under these laws, consult the professional services of a Virginia employment attorney for legal representation if you are considering filing a lawsuit. If you win a case against your employer for violation the Virginia Wage Payment Act, you are eligible to obtain the full amount of wages due, plus interest at eight percent per annum and attorney’s fees up to one-third of the amount of judgment. Workers are also entitled to overtime pay for hours over 40 in a single workweek. According to new Virginia wage laws, overtime pay must be at least time and one-half of your regular rates of pay. The Act does not require employers to provide overtime pay for work on Saturdays, Sundays, holidays, or regular days of rest unless overtime is worked on such days. Employers can establish a workweek as they see fit, it does not have to follow the calendar week. A workweek is a fixed and regularly recurring period of 168 hours – seven consecutive 24-hour periods. In the first half of 2018, Virginia wage laws have already seen some change. As of July 1, 2018, the law has changed regarding wage garnishment. Virginia law limits the amount of money a creditor can garnish, or take, from your wages to pay a debt. Recently, the maximum portion of disposable earnings subject to garnishment has been lowered. A wage garnishment is an order from a court of a government agency that requires your employer to withhold a certain amount of money from your paycheck for the benefit of the creditor. In many cases, a creditor must file a lawsuit in court, win the lawsuit, and them obtain a money judgment to perform a wage garnishment. 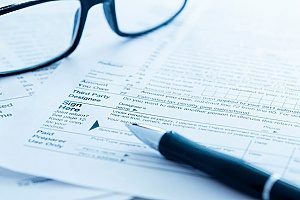 There are exceptions to this rule where your employer can garnish your wages without a money judgment which include unpaid income taxes, court-ordered child support or arrearages, or defaulted student loans. If you believe that your employer has violated any of the aforementioned laws, consult a Virginia employment attorney for representation in filing a lawsuit.